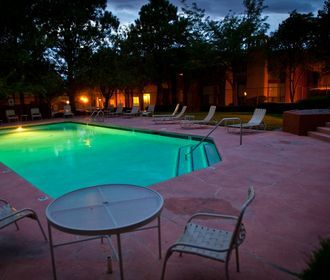 Minutes from the breathtaking Sandia Mountains, Mesa Del Oso offers pet-friendly apartments that create a tranquil oasis within bustling Albuquerque, NM. 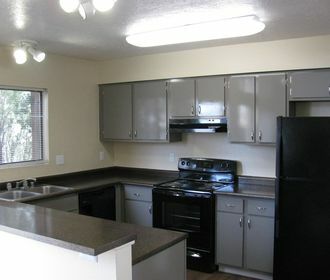 The apartment homes are exclusively two bedroom rentals with private backyards and off-street parking. The beautifully groomed grounds, fully equipped fitness center and two refreshing swimming pools are just a few of the amenities that welcome you to Mesa Del Oso, while cozy fireplaces and luxurious plank flooring greet you beyond your front door. Ranging from 1,049 square feet to 1,281 square feet, each spacious apartment features a single-car garage along with washer and dryer connections. The community also has a business center and a laundry facility. With nearby access to both I-25 and I-40, this welcoming community is convenient to all the amazing shopping and dining options Albuquerque offers and is just minutes from the Sandia Peak Tramway and Cibola National Forest. 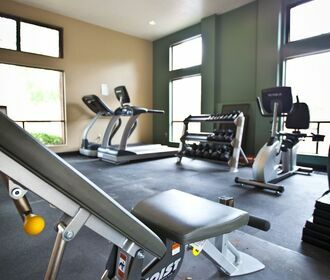 Whether for hiking, biking or running, numerous parks and trails are nearby. Schedule a tour of Mesa Del Oso and find your oasis today!